A beautiful print, hand lettered by Emma herself then digitally enahnced. Makes the perfect wedding gift for your fiance, or even as a valentines gift. 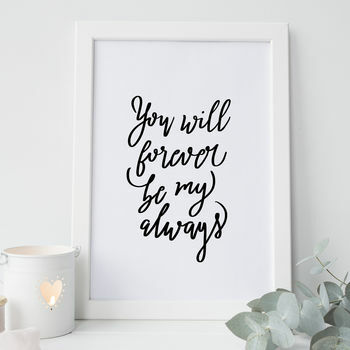 This print is the perfect keepsake to give as a wedding, anniversary or Christmas gift to your husband or wife. The simple monochrome design will fit in with any home's colour scheme, adding a touch of sophistication. Printed on to luxury 300gsm textured card, this Valentines gift also makes the perfect gift for a paper anniversary! 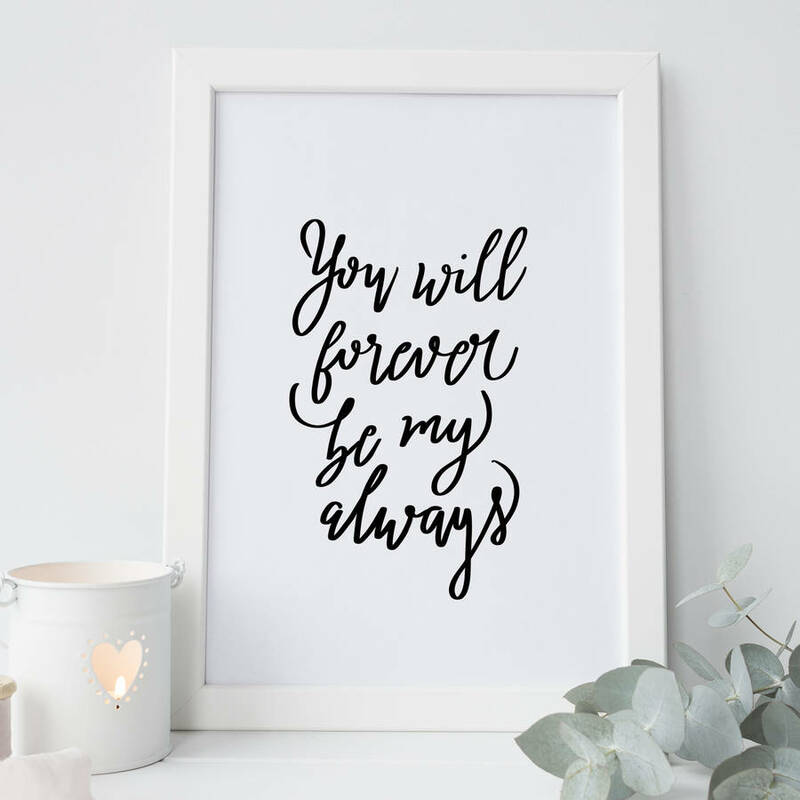 Print reads 'You will Forver be my Always'. Fits perfectly within the current 'Hygge' trend!